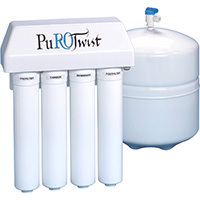 The top-selling PuROTwist PT4000 RO system is a 4 stage, point-of-use Reverse Osmosis unit that treats water at 50 gallons per day. PuROTwist Reverse Osmosis Water Filter Systems offer the highest in quality and performance standards, high capacity output, automatic shut-off and the user friendly Twist Tap (Omnipure Q-Series) filters. To replace the filters simply twist the used filter off and twist the new filter on. No tools, no buckets, no mess.  NOTE: We now offer replacement bundles to make the annual filter change process even easier. See the replacement kits below.